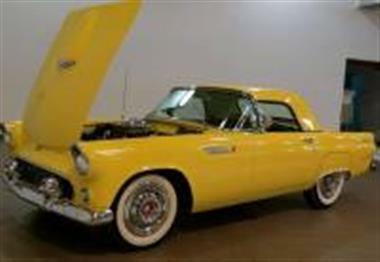 1955 Ford Thunderbird in Dayton, OH for sale. 292V-8 / AUTO</p> <p>HARD TOP</p> <p>TELESCOPIC ADJ. STEERING WHEEL</p> <p>The first generation of the Ford Thunderbird is a two-seat convertible that was produced by Ford for the 1955 to 1957 model years. The first 2-seat Ford since 1938and#44; the Thunderbird was developed at nearly the same time as the Chevrolet Corvette. Rather than becoming a rival to the European sports cars imported into the United Statesand#44; Ford created a completely new market segment around the Thunderbirdand#44; the personal luxury car. 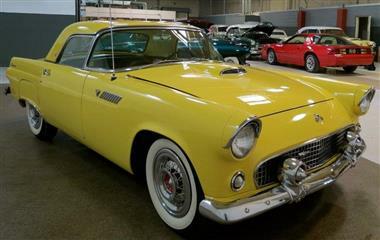 While a performance car in its own rightand#44; the Thunderbird focused more on comfort than speed.</p> <p>Ford unveiled the Thunderbird at the Detroit Auto Show on February 20and#44; 1954. The first production car came off the line on September 9and#44; 1954and#44; and went on sale on October 22and#44; 1954 as a 1955 modeland#44; and sold briskly; 3and#44;500 orders were placed in the first ten days of sale. While only 10and#44;000 were plannedand#44; 16and#44;155 were sold in 1955.</p> <p>As standardand#44; the 1955 Ford Thunderbird included a removable fiberglass top; a fabric convertible top was an optionand#44; although commonly specified. 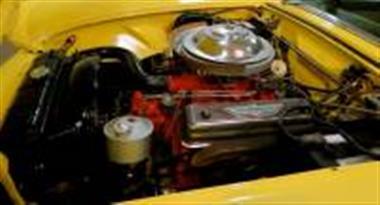 The engine was a 292 Y-block V8and#44; which got 18MPG. The car had fender skirts. 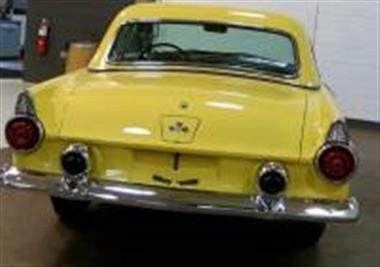 The exhaust pipes exited through twin bumper guardsand#44; which are bolted to the rear bumper.</p> <p>Created to act as a retort to the Chevrolet Corvetteand#44; it was also the first mass-produced edition of all the Ford Thunderbird models. A total of 53and#44;166 units were produced for the three model years 1955-1957. 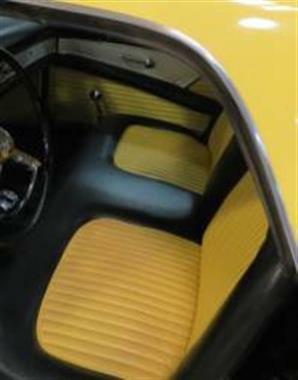 It was produced with a Fordomatic automatic or manual overdrive transmissionsand#44; and featured four-way powered seats and pushbutton interior door handles. 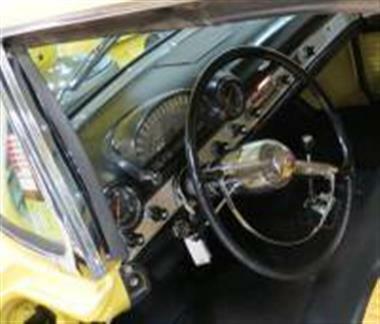 Other unique features were a telescoping steering wheel and a tachometer.</p> <p>Equipped with a V8 engineand#44; the Thunderbird could hit 110-120 mph. 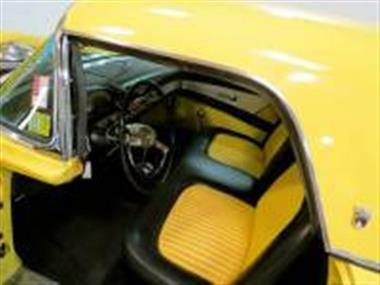 It was a smaller two-seat personal luxury carand#44; compared to many other much larger cars that were on the road in the 1950s. It was designed to be a brisk luxury touring carand#44; and not a sports car.